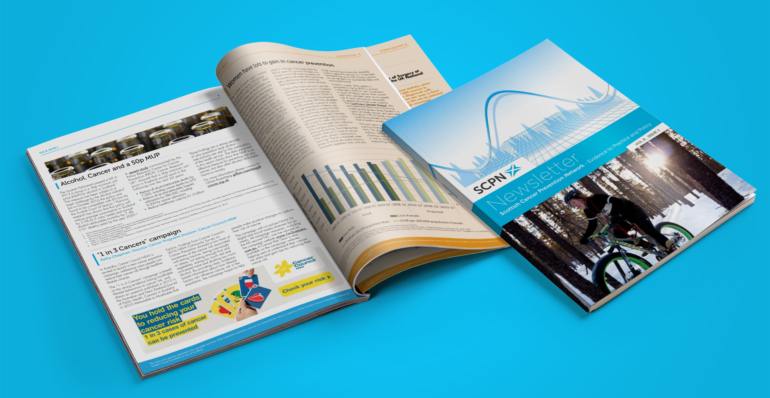 Happy New Year and welcome to our new style SCPN newsletter. We have been studying the feedback from our annual survey and we have had three very clear messages for change. 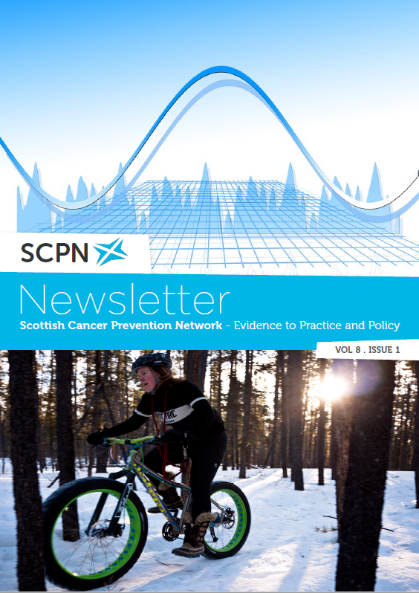 To satisfy these requests…you will find our new section on evidence relating to cancer prevention and early detection including an update on prevention papers and a focus on one paper (review/guideline) we really think you should read. We also have Scottish cancer statistics, an insight from one of our national experts, and a spotlight on some recent Scottish research. Don’t worry – we haven’t forgotten about practice, policy and public health action. Dr Andrew Fraser reflects on the Christie commission on delivering public service, Obesity Action Scotland provide information on their briefing papers, CRUK comments on minimal alcohol pricing and we remember No Smoking Day. These messages consolidate many key public health dimensions for cancer prevention. Our good practice example highlights some great work to get children cycling and hopefully their parents alongside them. We have some campaigning tips from Australia in the article on the ‘1 in 3 cancers’ campaign. I’m happy to say our food section still has a wonderful innovative recipe from Kellie Anderson but will now also have some tips on using Scottish vegetables season by season. All in all, some new ways to get updated with current evidence and think again about current policy and practice. Most of the content comes from people who submit articles/photos/ideas and requests. Please feel free to contact us with your thoughts and views at any time – don’t wait for the annual survey!